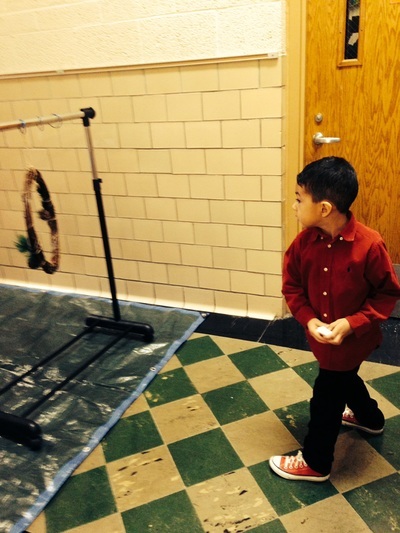 Welcome to The Pre-School Page! 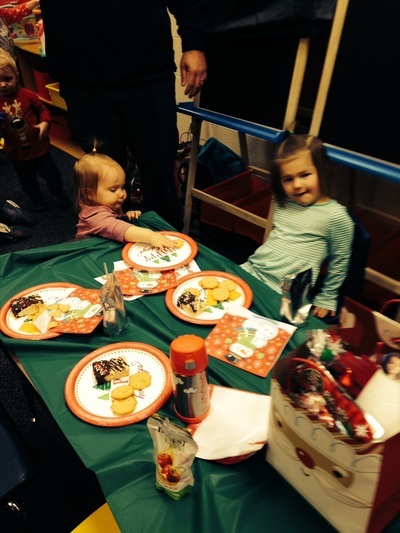 Three-Year-Old King and Queen Day! 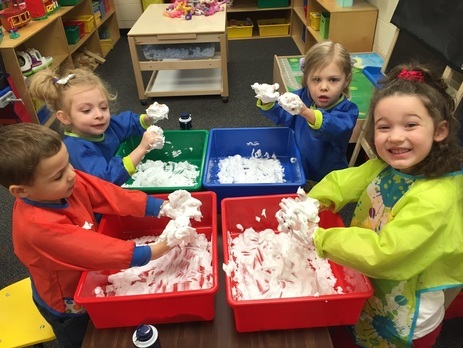 Printing the letters of our first name in shaving cream, what fun! 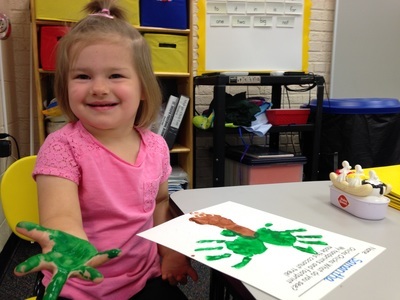 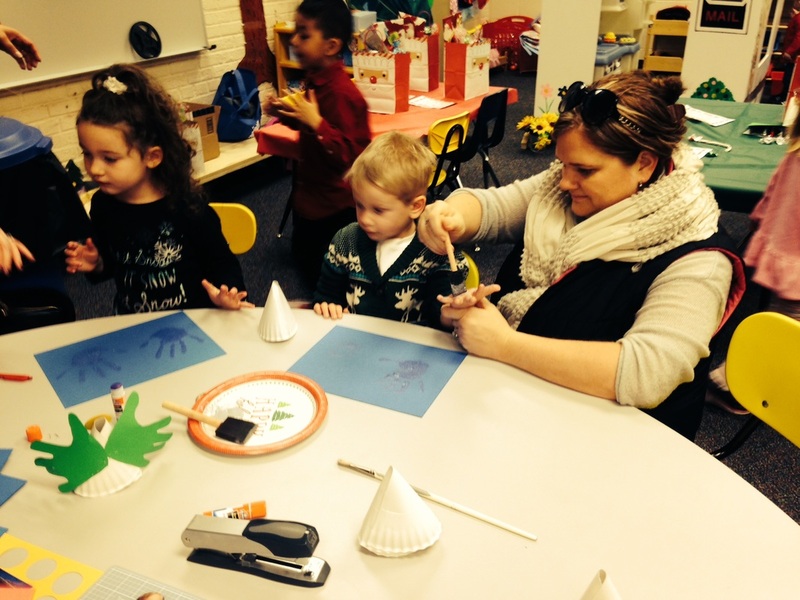 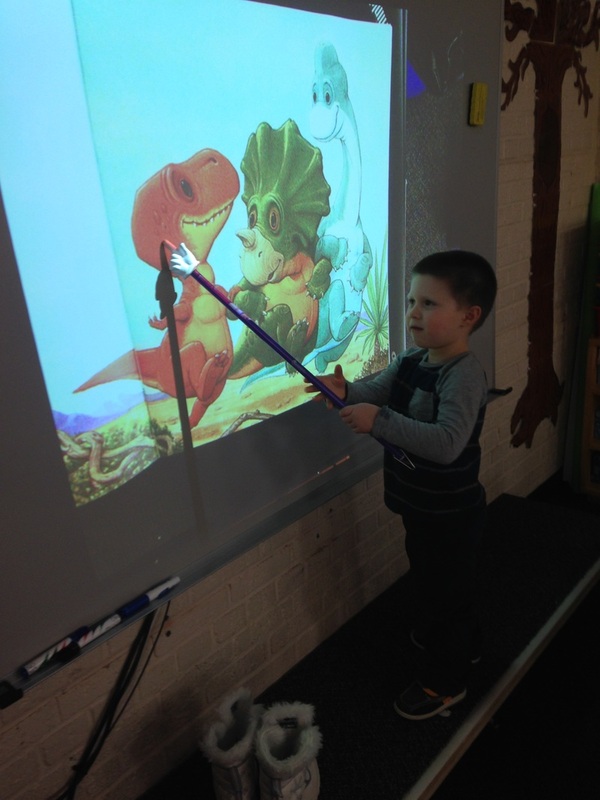 It was "Dinosaur Day" in preschool! 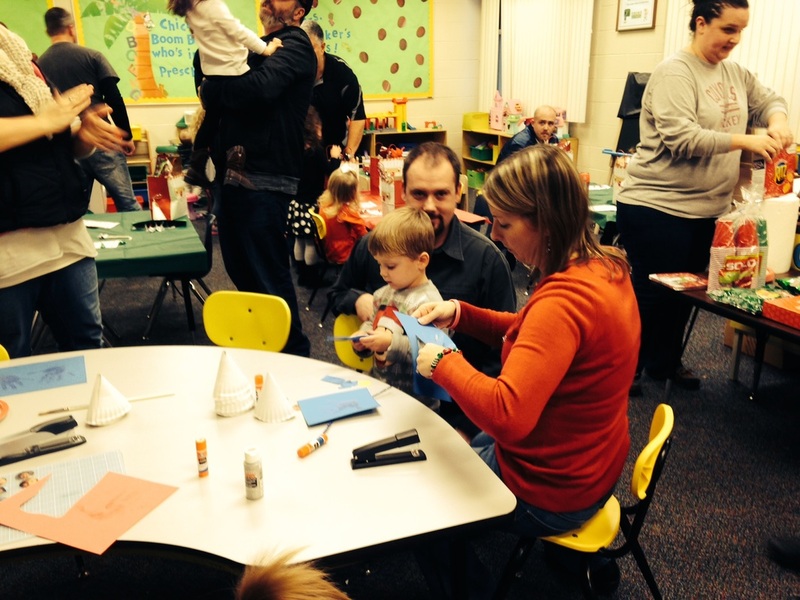 First, we created dot art dinosaur masks. 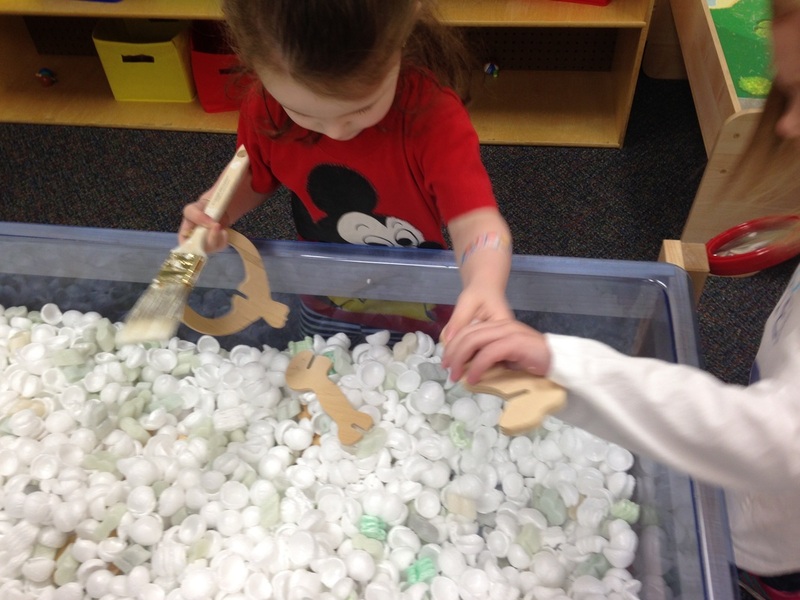 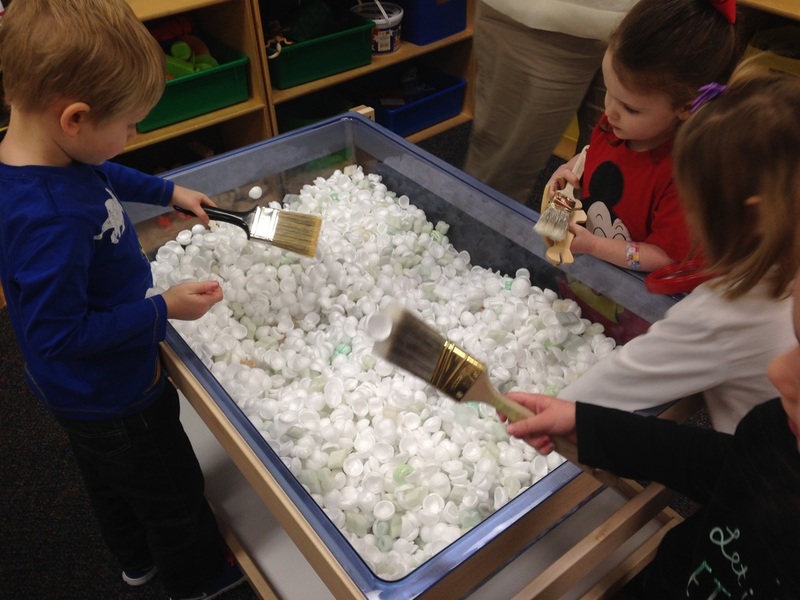 Then, we uncovered dinosaur bones with soft brushes just like a real paleontologist! 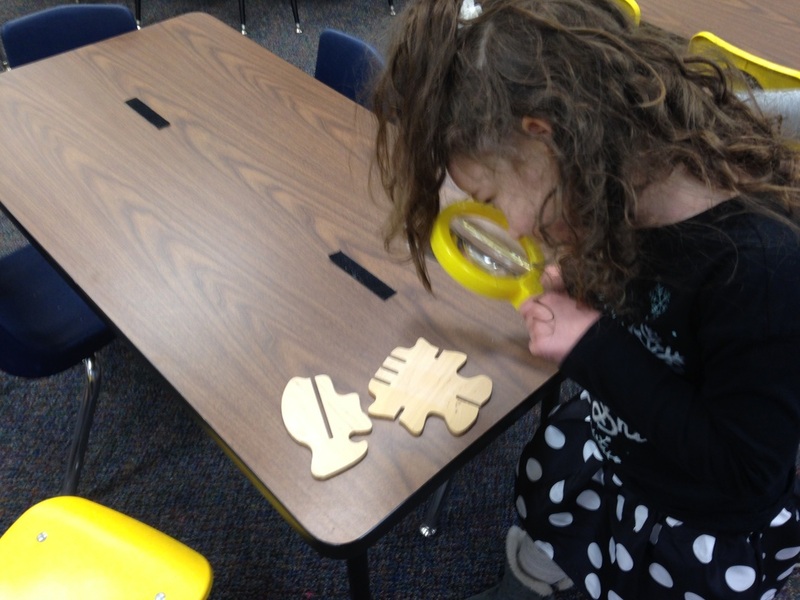 Next, we studied dinosaur bones with a real magnifying glass! 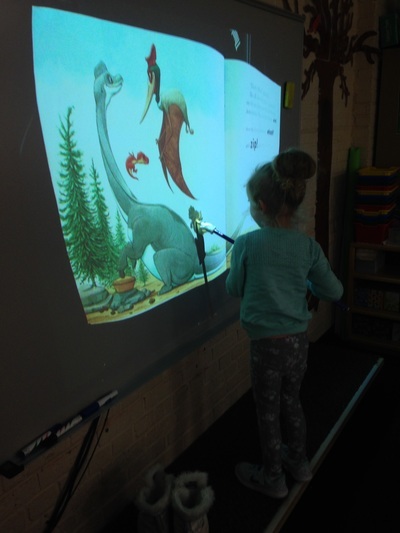 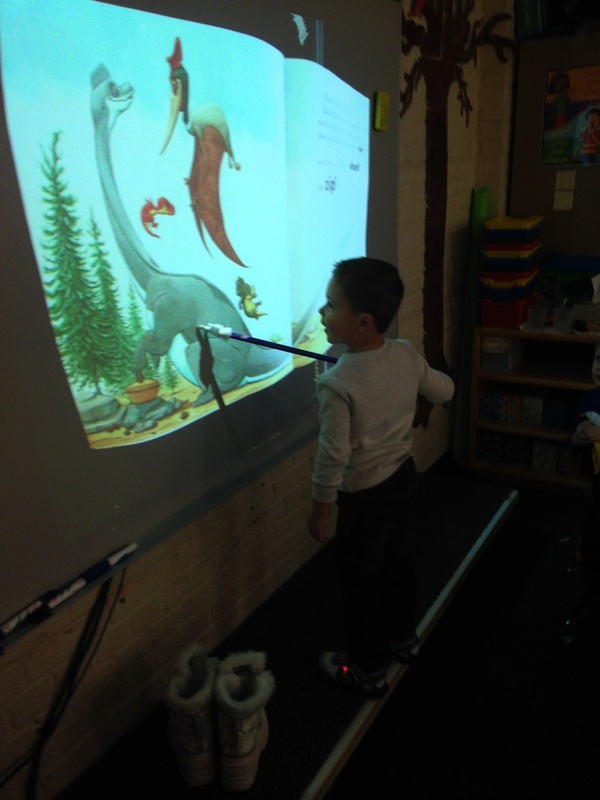 Then we used our new Elmo and Smart Board to identify small medium and large dinosaurs in our pre-math lesson! 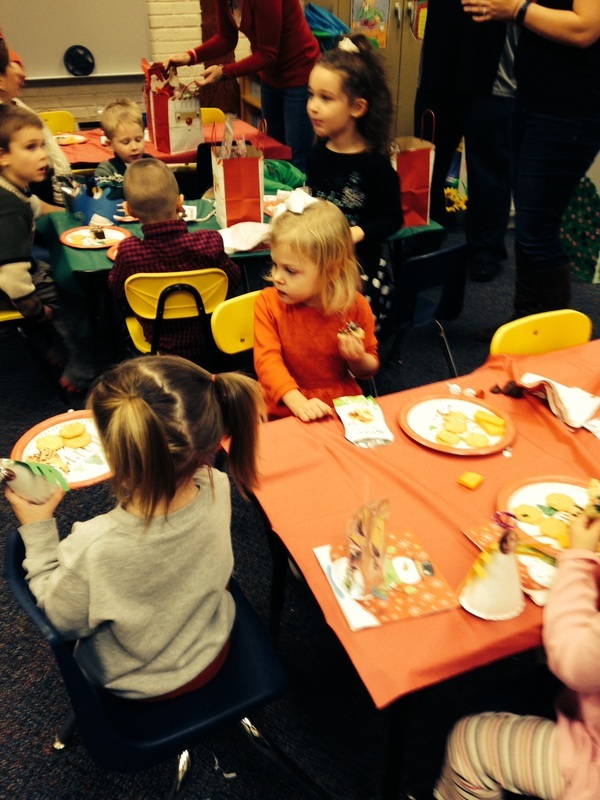 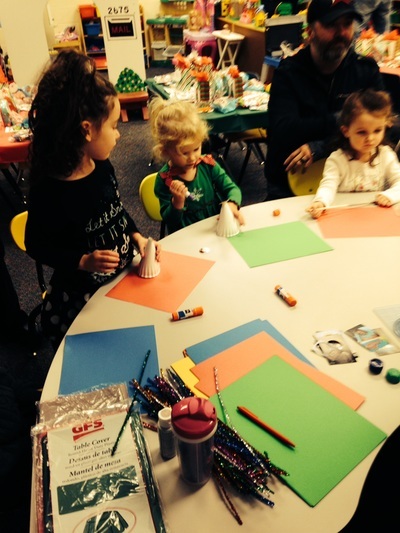 Crafts, a marshmallow toss and homemade sugar cookies with friends! 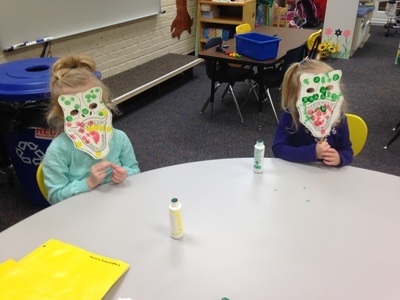 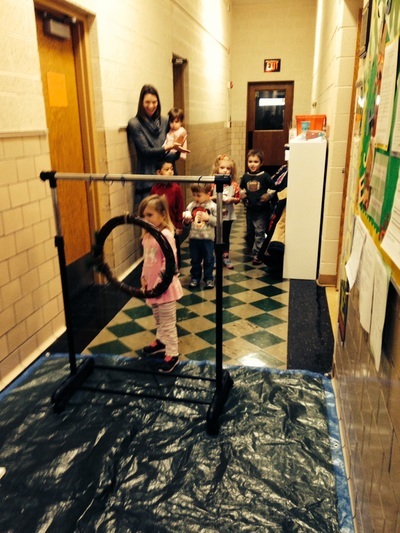 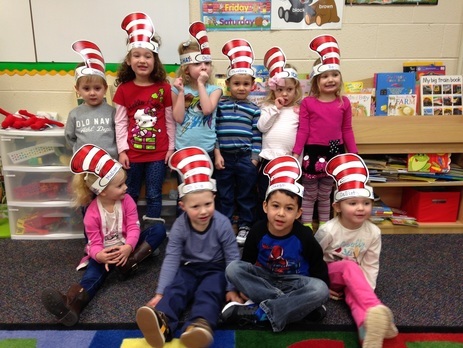 Three-Year-Olds had a great time at their Halloween party! 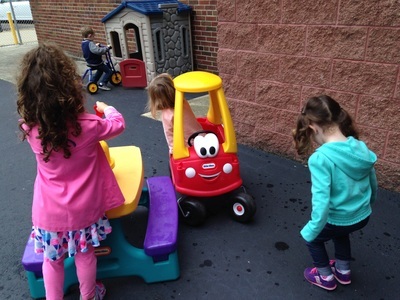 ​Check out our mini firefighters in the Big Seat! It was a very fun and informative day! 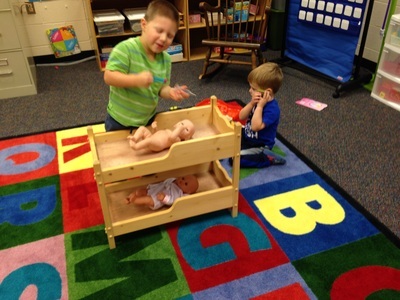 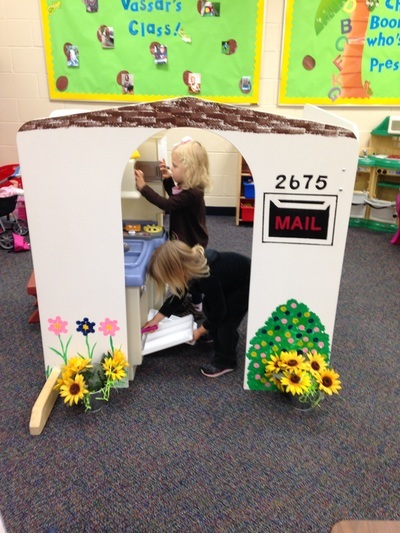 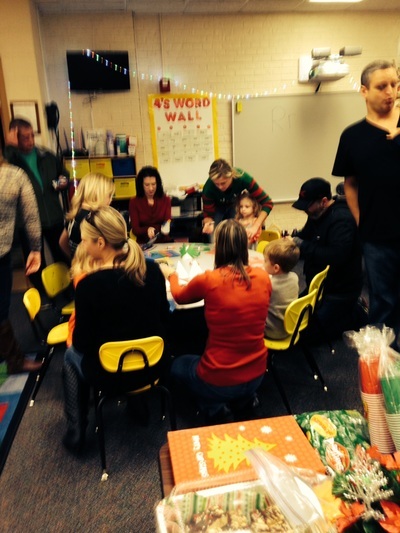 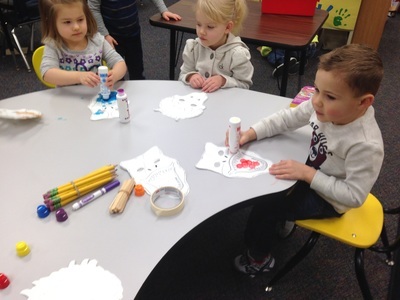 Four-Year-Olds Working in Our Classroom! 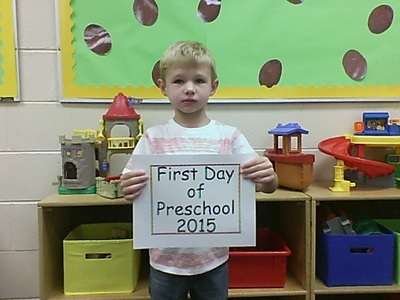 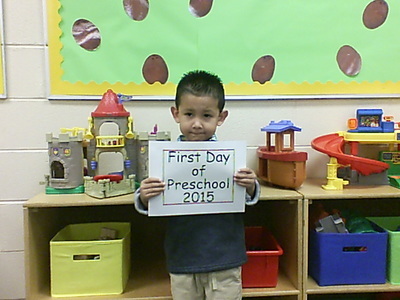 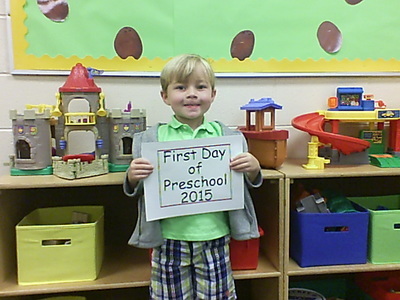 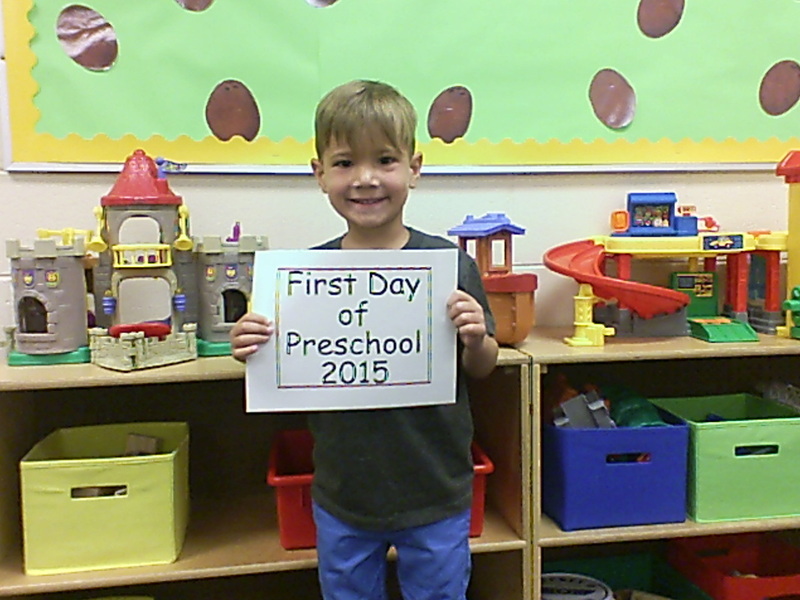 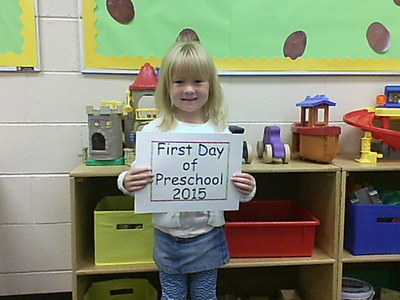 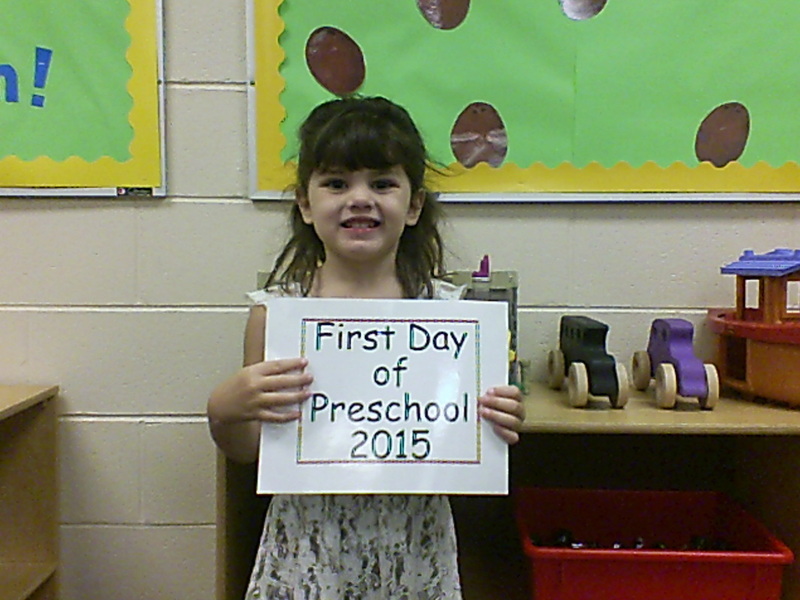 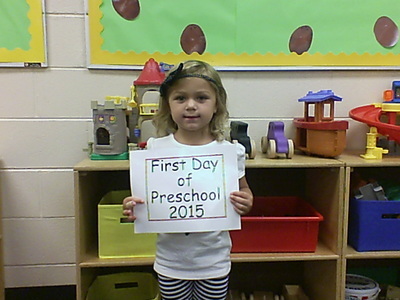 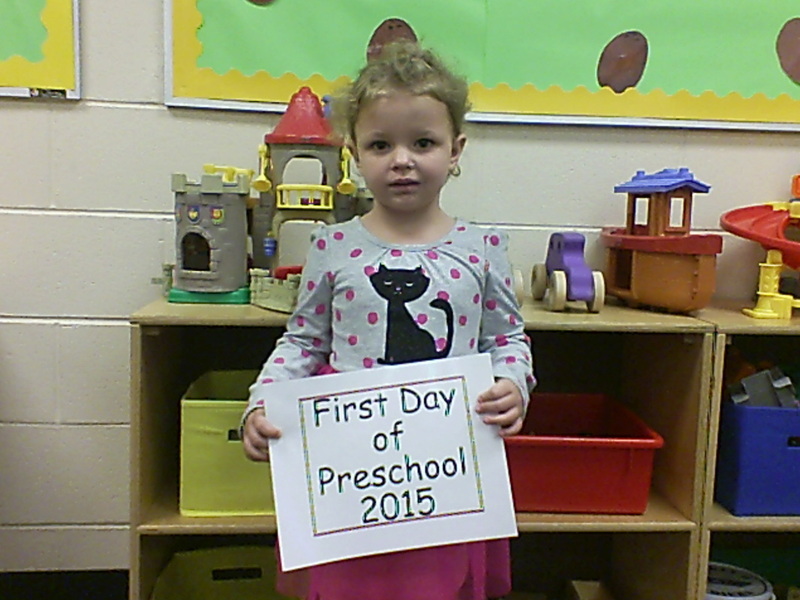 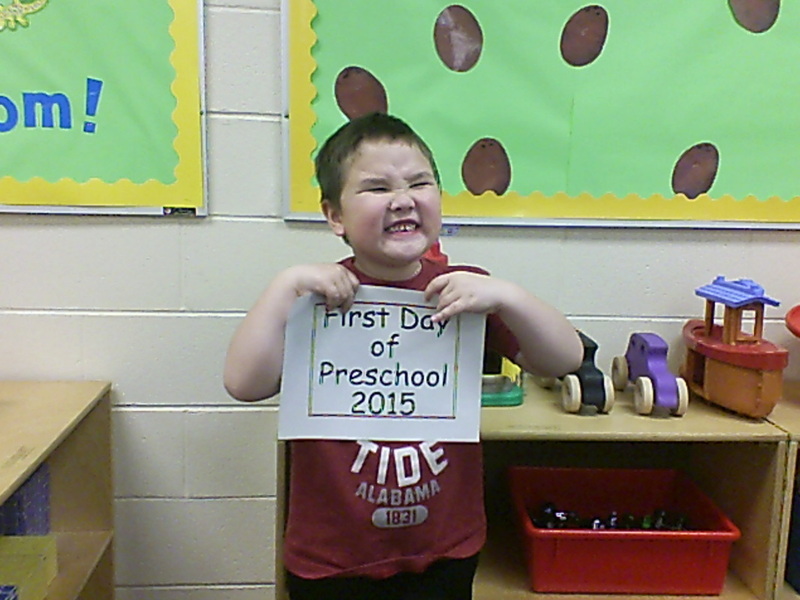 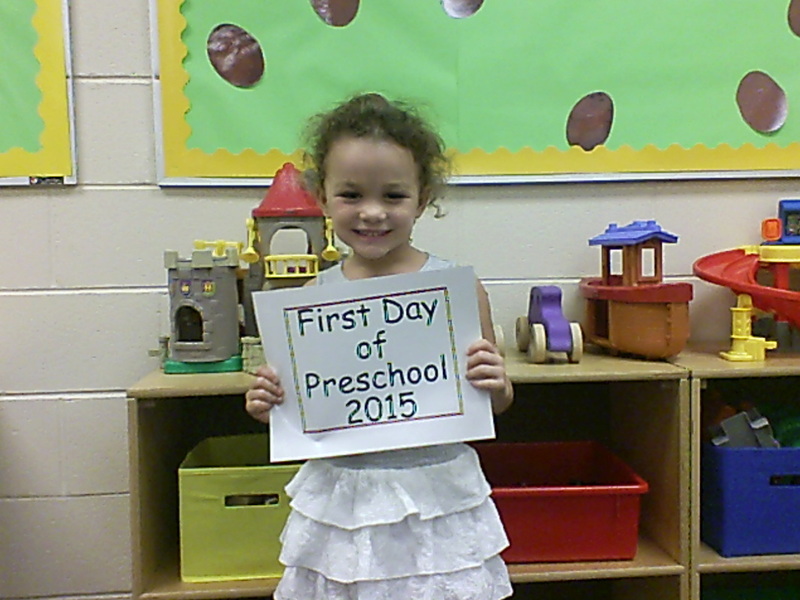 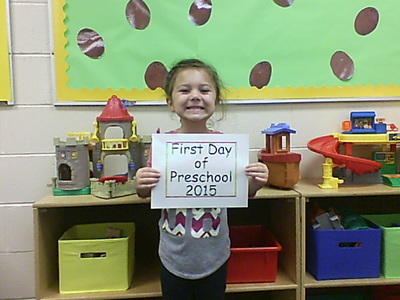 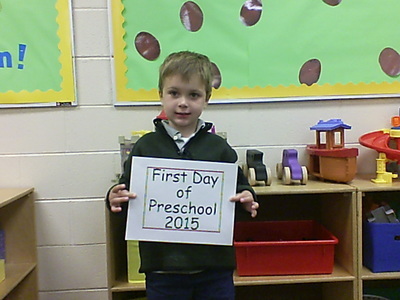 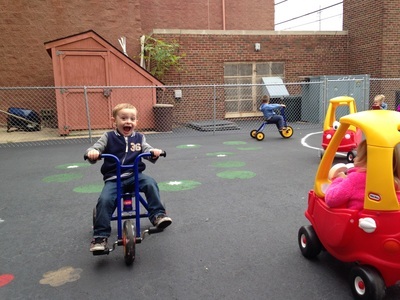 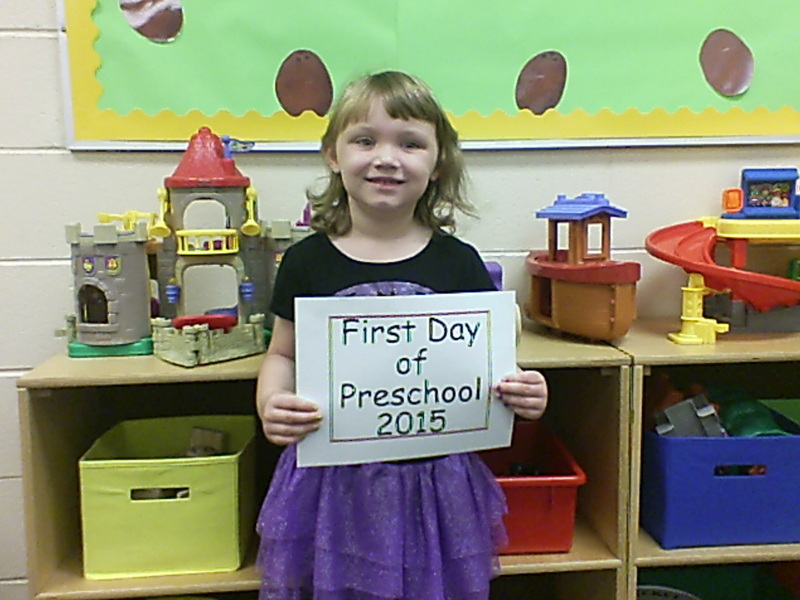 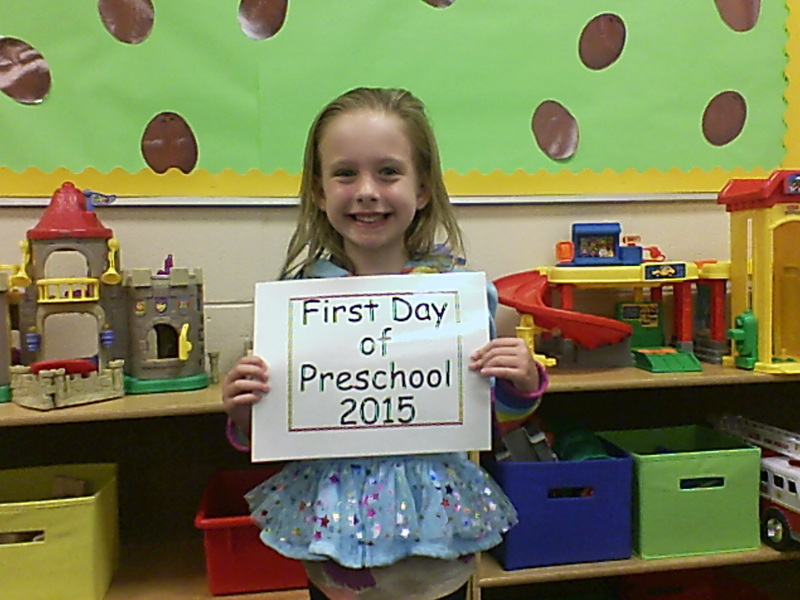 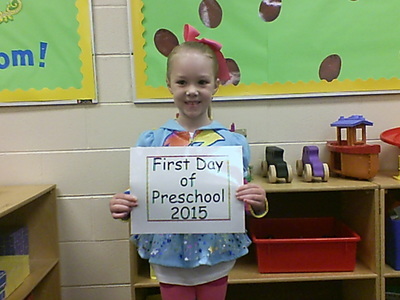 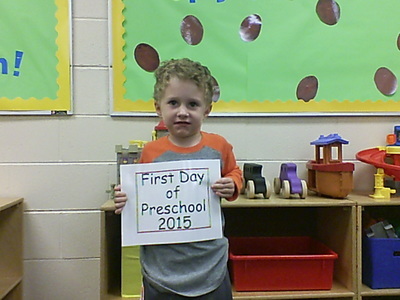 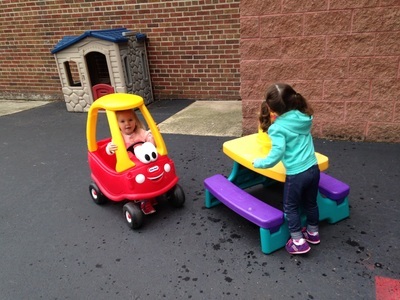 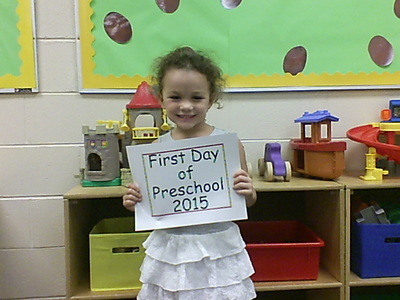 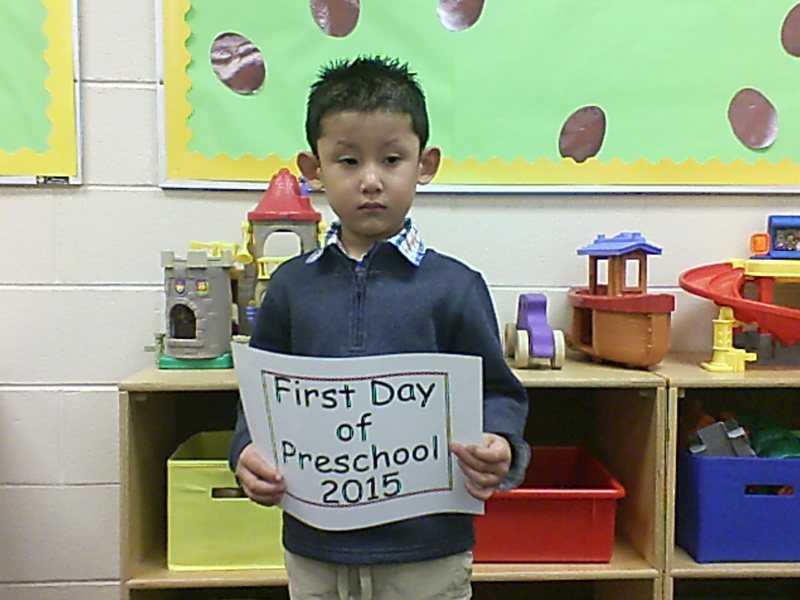 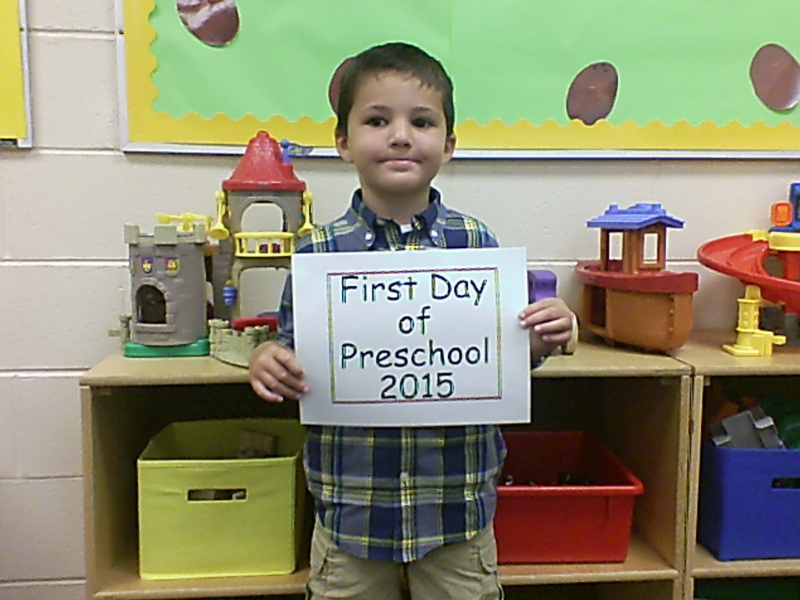 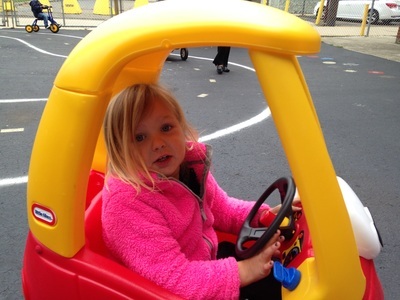 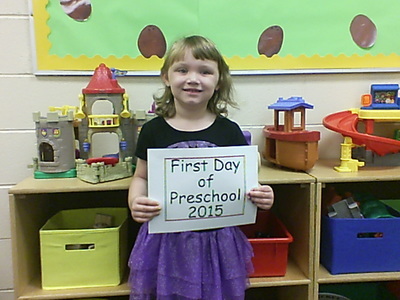 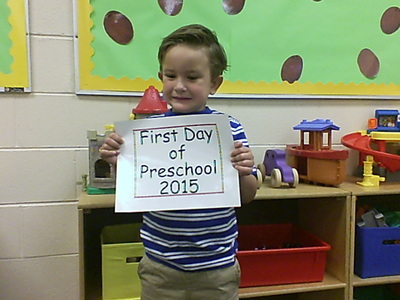 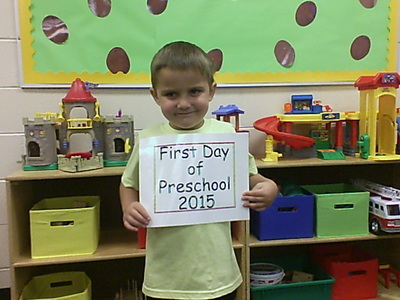 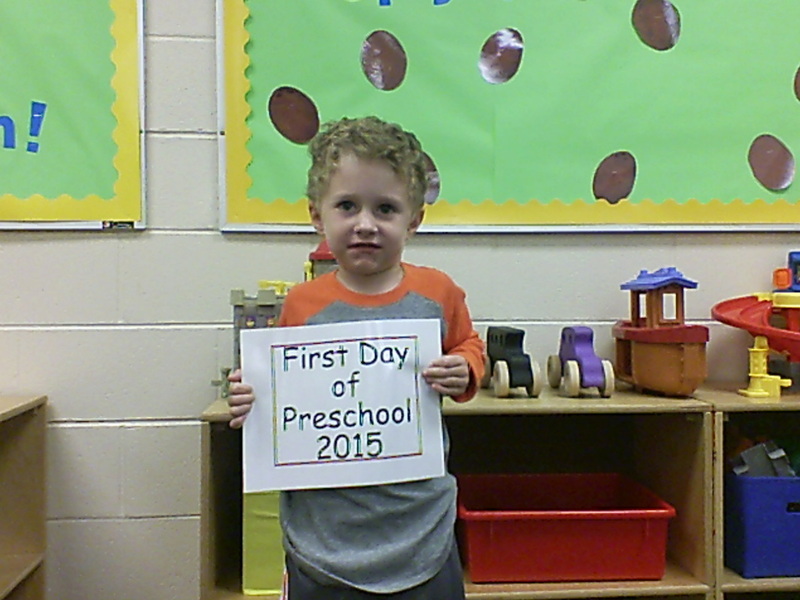 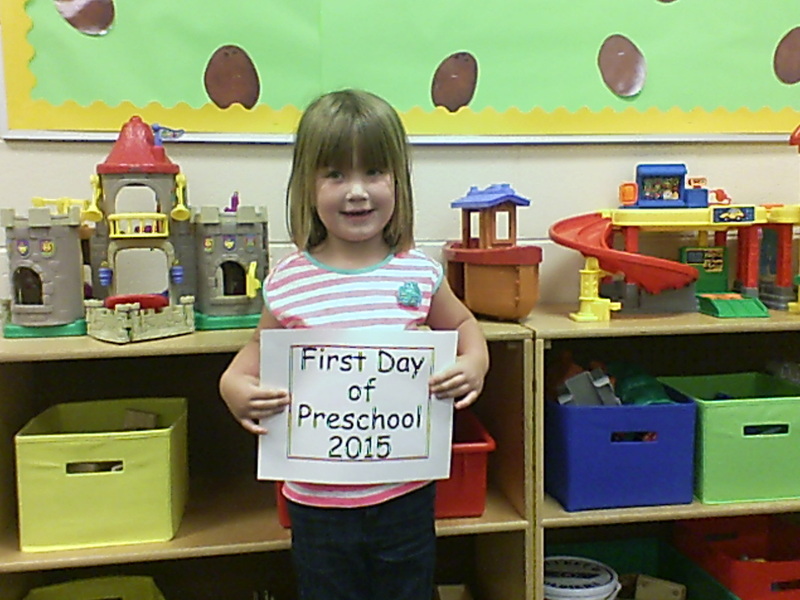 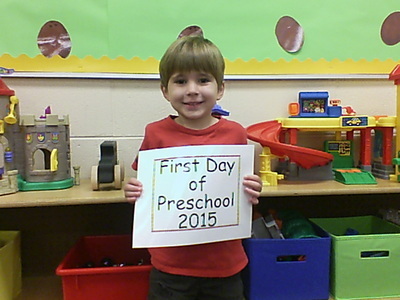 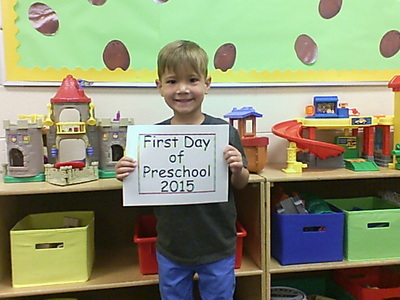 Our First Day of Preschool (4's) 2015!